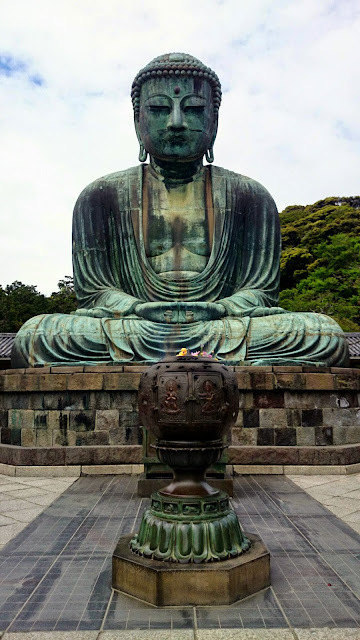 Located just an hour from the centre of Tokyo is a small costal town - Kamakura. 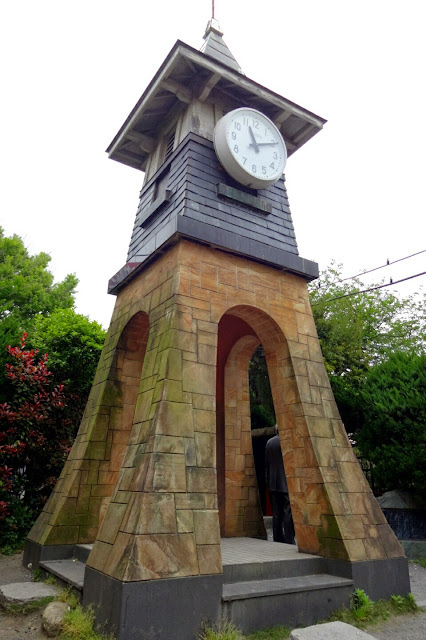 This small town is, like most Japanese cities, filled with temples and shrines. Out first stop was the Hasedea Temple. This temple had some of the most beautiful gardens in Japan. 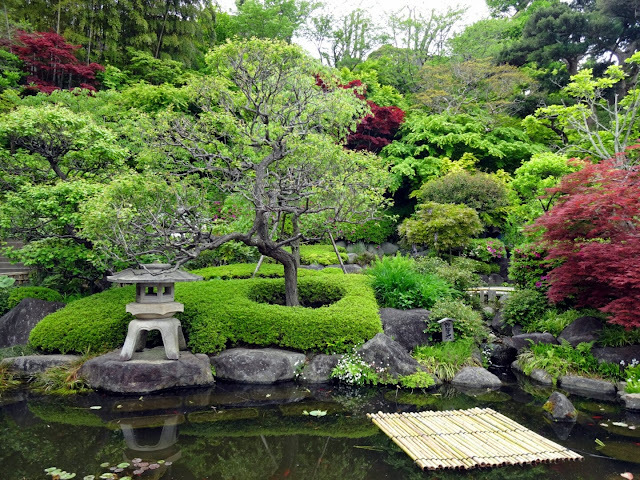 The landscaping included ponds and Japanese style rock gardens. The Temple was located on the side of a hill. 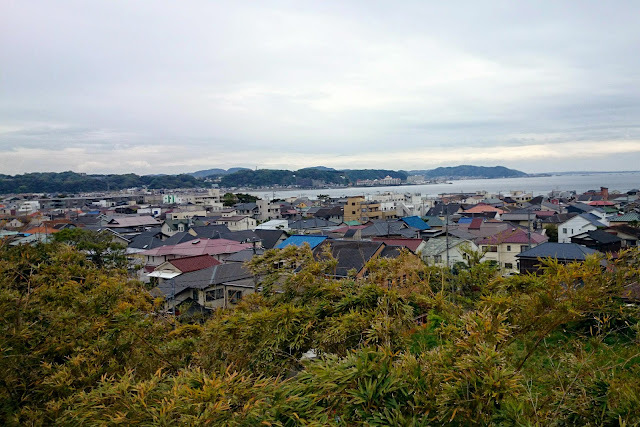 The further up you went, the more impressive the view of Kamakura became. The peak included views over the entire city, coast and ocean. Even though today was the cloudiest it has been in over a week in Japan, there were many people on the beach and playing in the sea. Unfortunately, the beach wasn't as beautiful at those in Busan, but its still a beach right? The actual temple itself was really pretty, with a very old looking golden Buddha. The smaller temple was my favourite with hundreds of fake pink flowered plants - one even had its "made in China" label still attached. We then went to the Great Buddha, one of Kamakuras main attractions. Matt was highly disappointed with its size (trying to compare it to the worlds biggest Buddha in Leshan). 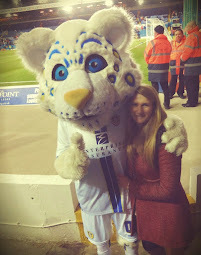 I quite liked it's strange colourings and darkened patches - made it look more authentic. 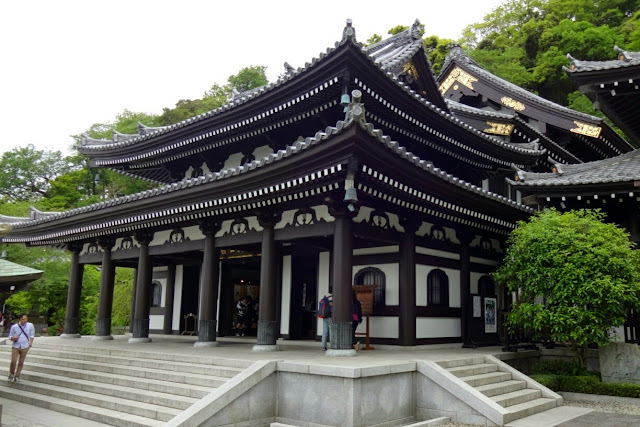 Another building was situated in the grounds - the Kangetsudo. 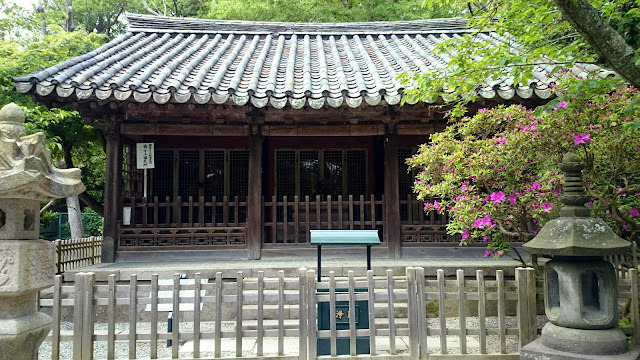 In was formally located in a royal palace from the Joseon Dynasty in Seoul. Apparently it was donated during the Japanese occupation of Korea. 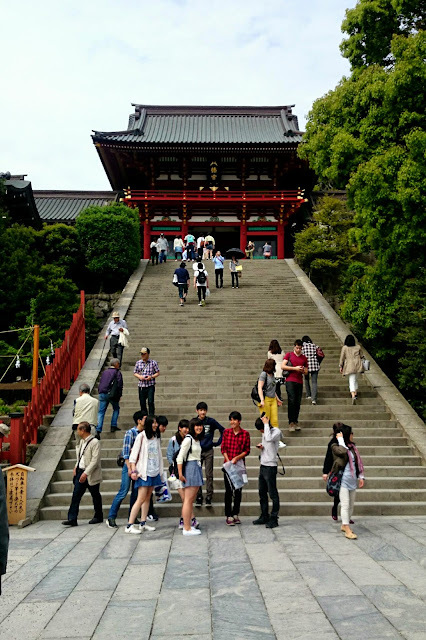 Our final point to visit was the Hachimangu Shrine. On the long walk there we would walk through "shopping street" which excited me (I thought we would be walking past sparkly designer shops), but it was mainly tourist souvenir shops and restaurants. The shrine was relatively pretty and - once again - beautifully located on a hill. The long path to the stairs of the temple was full of stalls that sold different types of fruit. The fruit had been sweetened into a sugary snack and people were going crazy for it!